Active Agent Wants The Best For Marko Grujic, Blocks Loan Move. Liverpool have reportedly agreed to let their midfielder Marko Grujic complete his loan move to Cardiff City this summer but the deal is being delayed by the player’s agent Zoran Stojadinovic. The Serbian international played the second half of last season with the South Wales outfits but he didn’t get much game-time. Grujic was only able to feature in just 14 matches with the Championship club in all competitions. 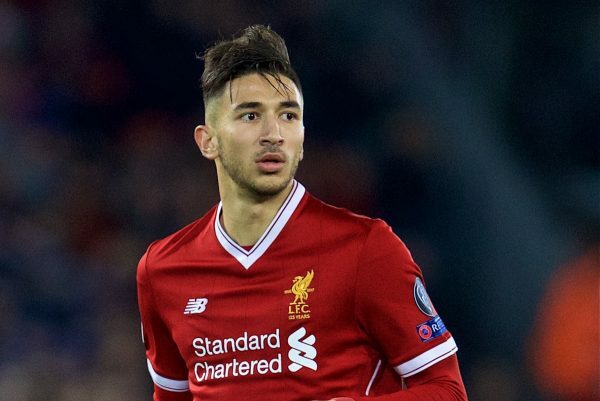 Though Grujic possesses some potential which could be very much needed by the Reds in the coming season, the presence of Naby Keita and Fabinho in the team seem to be a very strong competition for the young player to withstand or overcome. Having returned back to the country’s top-flight League, Cardiff manager Neil Warnock has identified the player as one of the midfielders he wants to work with in the coming season. Warnock is hoping to maintain the club’s Premier League status by the end of the 2018-19 season but he needs to get quality players at the ongoing transfer market. Grujic’s representative Zoran Stojadinovic seems to be the stumbling block preventing Warnock from reuniting with the Serbian international this summer. According to Warnock in a post-match conference, the Reds have sanctioned the player’s move to his team but his agent is preventing the deal from pushing through. The manager revealed that Zoran wants a club who will pay his clients more money as weekly earnings. ‘I think his agent – as they do – thinks he can try and make more money somewhere else but Liverpool want him to come and I think it’ll be good for him.” he said.